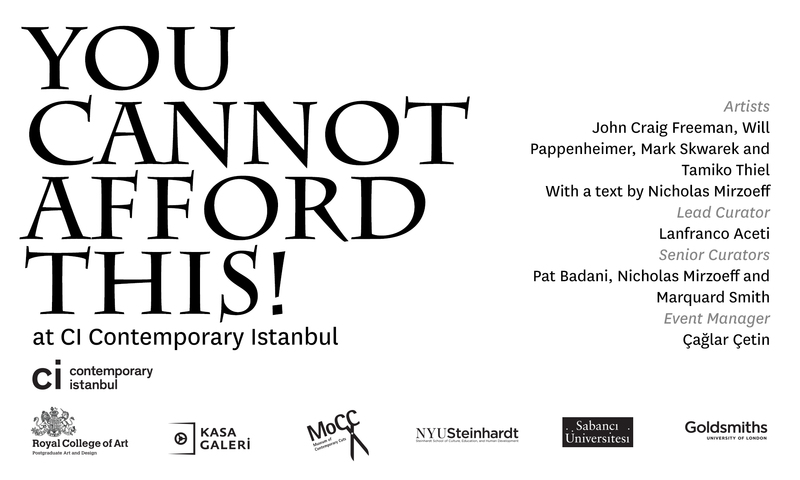 Exhibition: You Cannot Afford This! In this context, Kasa Gallery and the Museum of Contemporary Cuts (MoCC) present artworks that are strongly aligned with socio-political and cultural statements: Augmented Reality interventions exist beyond and through geopolitical and cultural barriers. A series of Augmented Reality interventions will become materialized objects for sale, but outside the reach of the rich. The price of the art object becomes an obstacle to the acquisition of the artwork. The presence of the artworks is conceived as a non-presence: an engagement where the artists and the buyers cannot recognize each other because they cannot afford to do so and cannot afford each other. Buying is no longer a pleasurable activity but is transformed into a commitment to sacrifice and suffering. The price of the art object is proportional to the wealth of the individual: the richer the person the higher the price. The presence of the artworks and their unaffordable prices continues to carry the message of the artworks: a relentless critique of the system. Kasa Gallery and the Museum of Contemporary Cuts, invited by Ceren Arkman (Director) and Irmak Arkman (Art Director) of Plugin at CI – Contemporary Istanbul, present artworks by John Craig Freeman, Will Pappenheimer, Mark Skwarek and Tamiko Thiel. Stay up to date by receiving the newsletter and sharing the news.